New or used? Secure or unsecure? Jack Han reports on some of the best options for car loans as the market grows more competitive. Car loans have picked up momentum in 2010 from the slumps of the financial crisis. With government incentives being introduced for the new decade, there is plenty of room for growth, and Australians who shop around for the best car deals may find that 2010 is the year to buy a car. Sales of vehicles reached 74,864 in January this year, a considerable increase of 11.6 percent from January 2009, according to figures released by the Federal Chamber of Automotive Industries (FCAI). This leap in sales coincides with a tariff slash that further stimulates the car market. On January 1 2010, the Federal Government lowered the tariff on imported cars from 10 percent to 5 percent. This has effectively given new car buyers of imported vehicles a tax cut, which could translate into lower prices over the next few months. Currently, the car sales market is dominated by two major competitors. Toyota took top share in January with 19.5 percent of sales, while Holden held a generous 14.0 percent. Ford, Mazda and Hyundai trailed behind at 9, 8.9 and 8.3 percent respectively. With competition strong in the industry, and tariffs decreased, cars in Australia may become more affordable than recent times. This has caused a commotion for car loans as buyers compare interest rates for the cheapest repayment schemes. At the time of writing, IMB offers the lowest rate at 8.90 percent p.a. on car loans for Australian drivers looking to buy new cars, while most other loans are in the 13-14 percent range. On a loan of $20,000 for 3 years, a difference of 5 percent could mean that you will be saving an extra $50 a month or over $2,200 during the life of the three-year term. Many Australians are also choosing unsecured car loans, as well as buying new instead of used vehicles, to take advantage of extra interest rate discounts. By comparing car loans online, you can also choose loans based on the lowest application and penalty fees. The season for cars has come, so if you are revving up to visit the dealers, make sure you’ve found a car loan to back you up. After all, there’s no point racing for the cheapest deals if you have a loan that costs a fortune. New cars are as popular as ever in Australia with data released by the Federal Chamber of Automotive Industries this week showing car sales were up on 2015 at the end of last month. The Australian love affair with SUVs continues, with new car buying intention statistics showing medium sized SUVs are the car of choice around the nation according to Roy Morgan Research. A RateCity.com.au analysis of ABS data has revealed that Aussie appetite for new car loans jumped in the 12 months to January 2016, compared to the same time the previous year. Used car loans on the other hand were down 0.50 per cent in the same period, suggesting a decline in the popularity of second hand rides. Evidently, VFACTS February sales figures showed 96,443 brand new vehicles were sold. 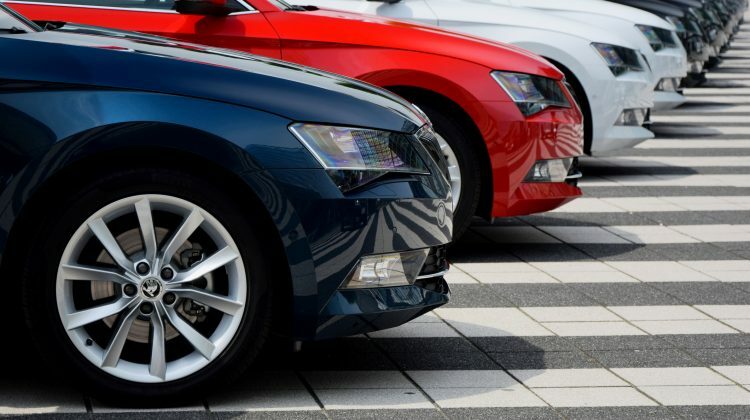 Intention to buy a new car in the next four years is also up, with 2.21 million Aussies planning on making a purchase before 2020, according to Roy Morgan statistics. Whilst there are some great promotional deals on the market, there are some precautions you can take to avoid being stuck with the car loan from hell.